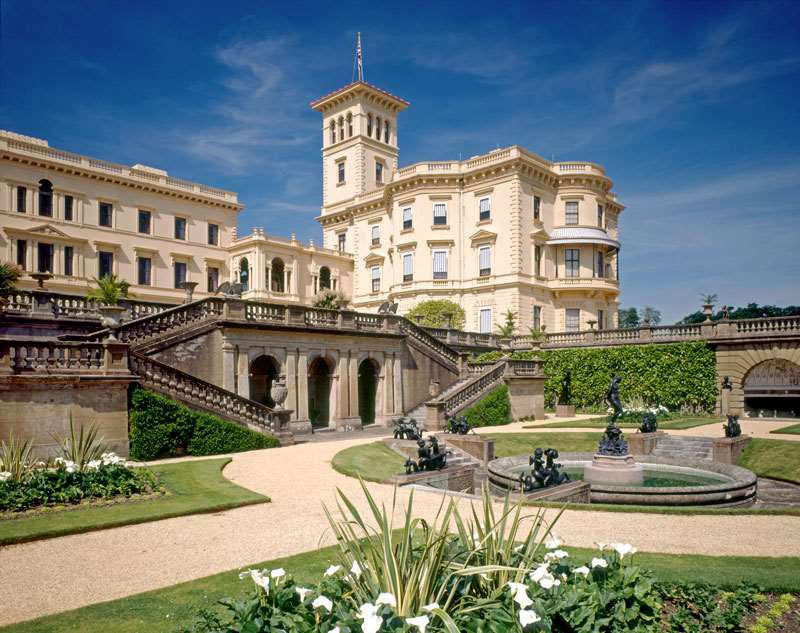 In 1845, Queen Victoria and her husband Prince Albert bought property on the Isle of Wight. 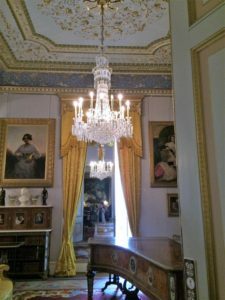 The Prince designed the house, in coordination with architect Thomas Cubitt, to reflect his taste for Italian-style villas; Albert was known to compare the view of the Solent with the Bay of Naples, though I found this quite a stretch. 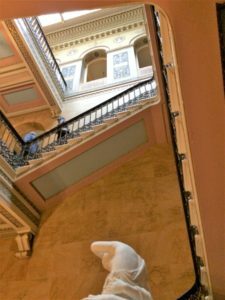 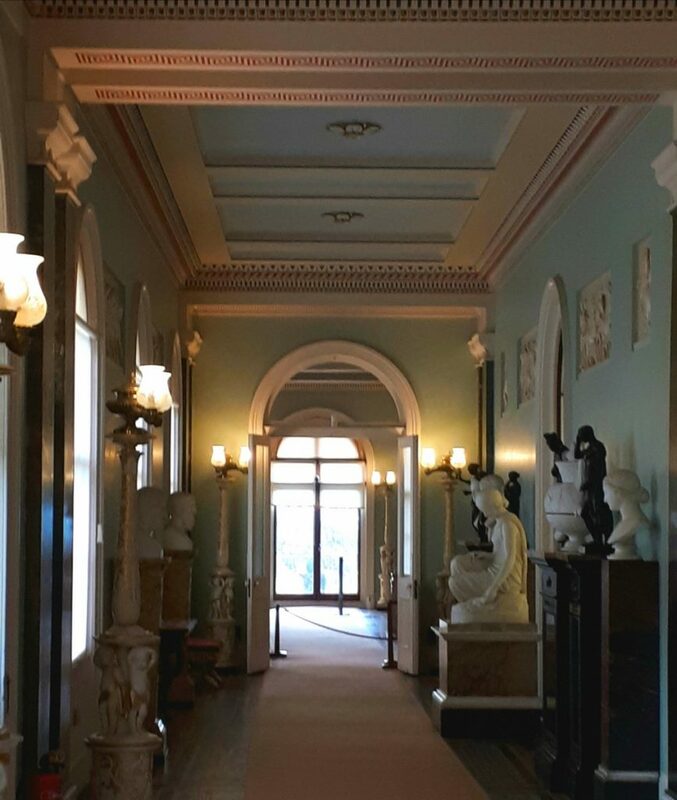 Kristine and I followed the route laid out for visitors to see the state and family rooms, beginning with the Grand Corridor, almost a sculpture gallery. 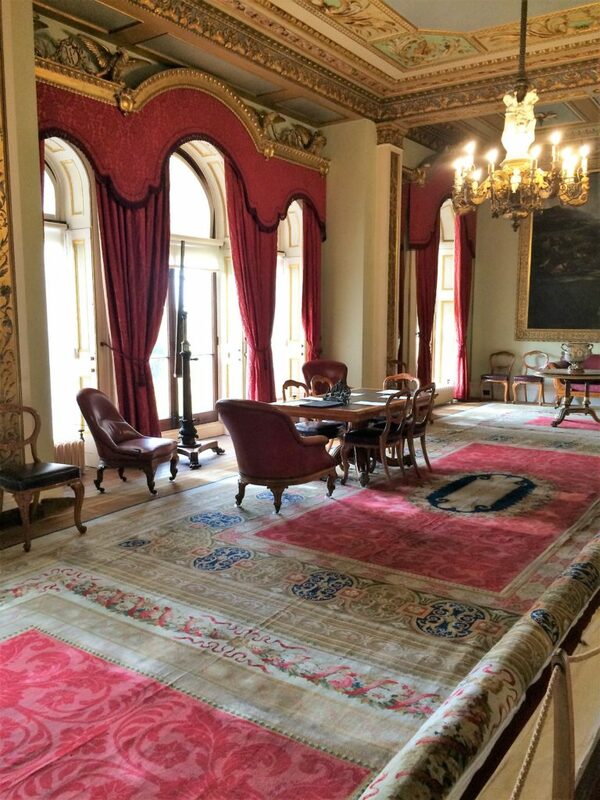 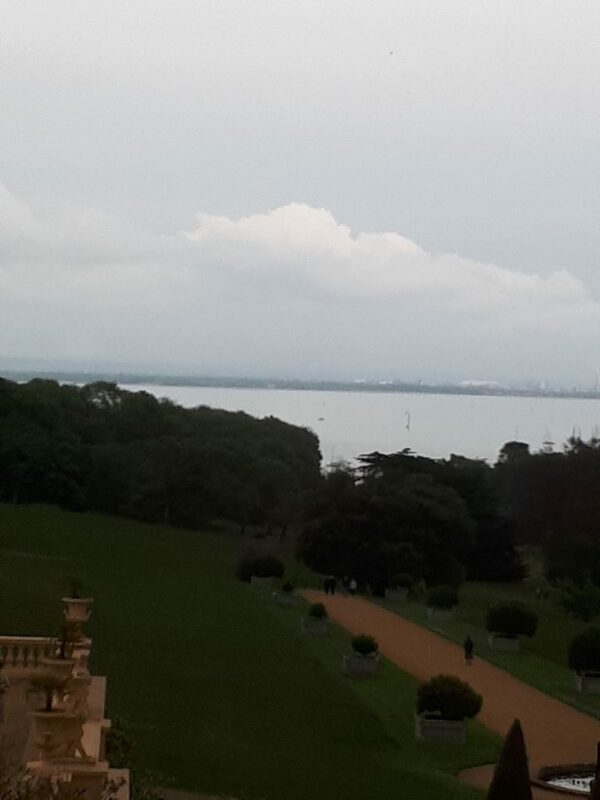 Even though she was at Osborne House with her family, Queen Victoria met with her privy council here. 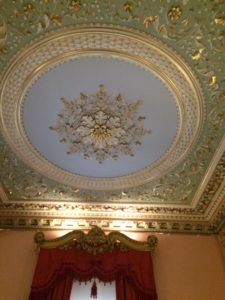 In the center of the ceiling is the badge of the Order of the Garter. 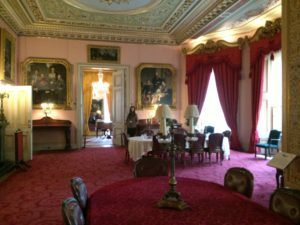 The Queen received official visitors in the Audience Room. 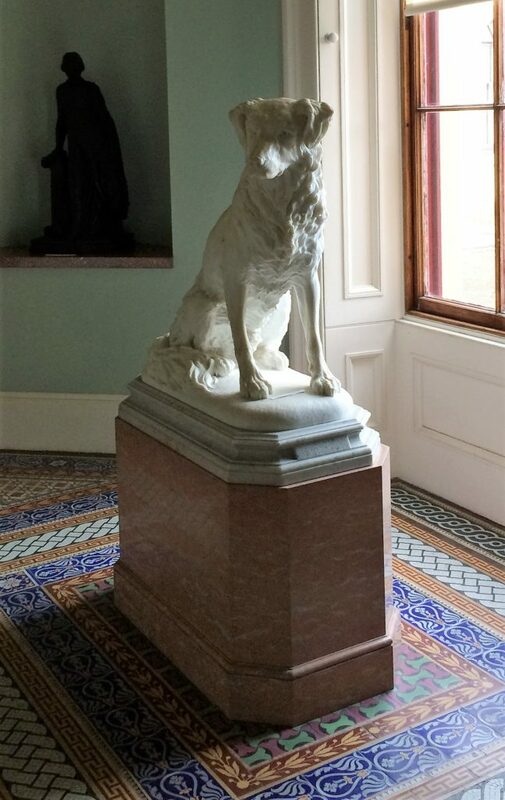 Below, Queen Victoria’s collie, Noble, sculpted by Sir Joseph Edgar Boehm. 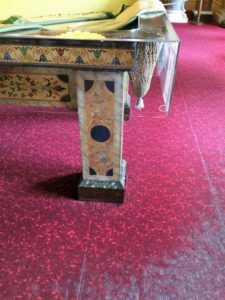 We could hardly believe the feast for our eyes: the floor designs, the decorated ceilings, the artworks, the furniture, and rugs…but we had hardly begun. 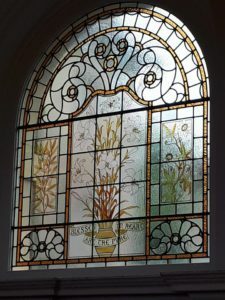 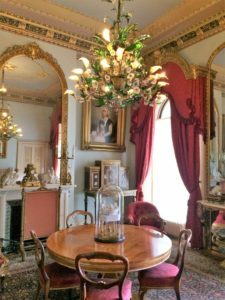 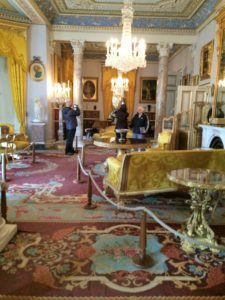 On the ground floor of the Pavilion, which was the family home, we find the dining room, drawing room, and the billiard room. 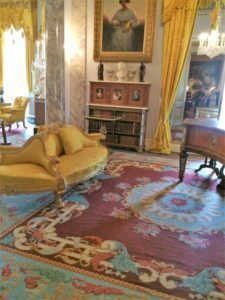 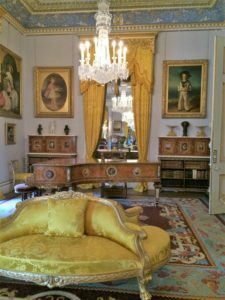 The dining room opens into the drawing room, decorated in yellow silk, a favorite decor of Queen Victoria’s. 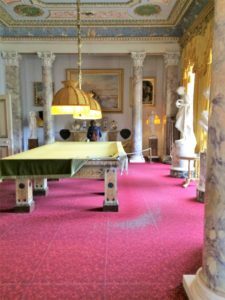 The Billiard Room is adjacent to the Drawing Room. 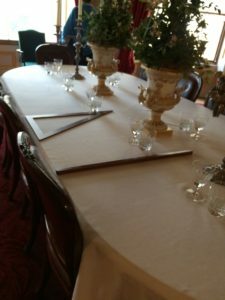 The tea room afforded us a welcome rest and sustaining drinks. 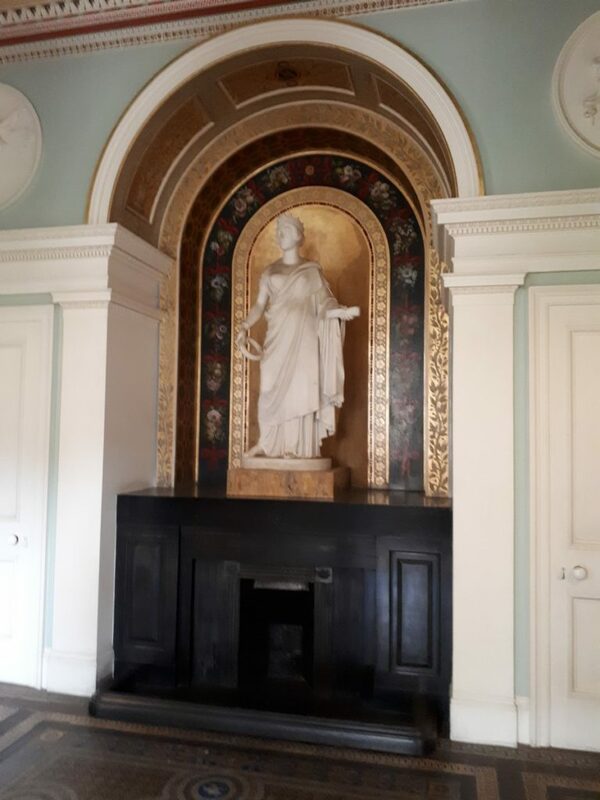 In Victoria’s later years, this room was used as a comfortably accessible chapel. 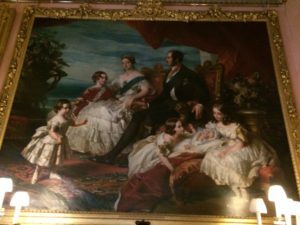 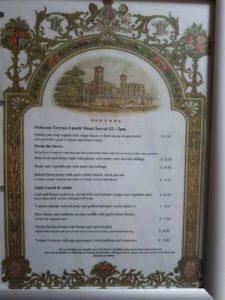 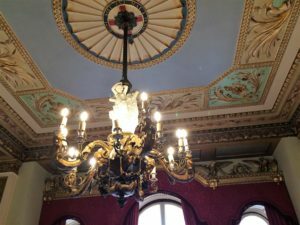 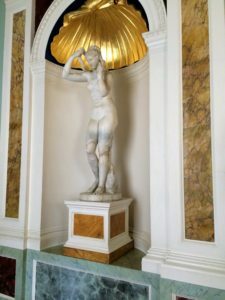 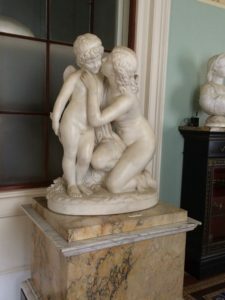 In Osborne House – Part Two, we will visit the personal rooms of the Queen and her Prince Consort, and the nursery. 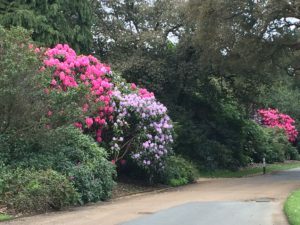 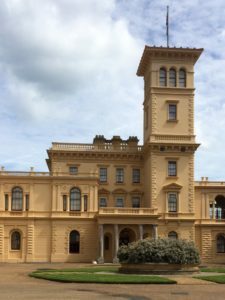 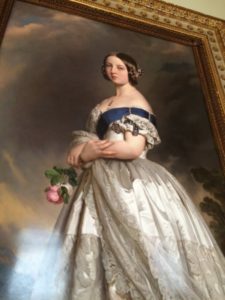 If you’d like to see Osborne House first-hand, please take a look at Number One London’s 2019 Queen Victoria Tour – also on the itinerary are Kensington Palace, Buckingham Palace, Windsor Castle and the Royal Pavilion at Brighton.